Match days 11./12. and 18./19. of July - most likely Wednesdays. I think this was the worst possible draw but better to toughen up a bit and just do what is needed to be done. I am optimistic as long as Rosenborg finds its fluidity back. 65% to Rosenborg, 100% support! �Rosenborg isn�t a bad draw, we avoided Celtic and a couple of the other big names but Rosenborg are going to be tough. I don�t think it mattered who we drew it was going to be hard for us and being unseeded it�s an uphill battle so we look forward to it � we gained great experience last season in the group stages of the Europa League. Kenny restated his belief, expressed repeatedly last season, that he would prefer all of the European games to be in the biggest stadium possible as he believes, he says, that his players tend to thrive on the greater stages, but says that he accepts it is important this game takes place in Oriel Park. Kenny is unlikely to head out to Trondheim for Sunday�s game between the Norwegian league leaders and Sogndal. �They are playing on Sunday and I�d like to have gone out to that, but we are playing Galway on Monday so I might not go,� said the Oriel Park chief, who masterminded last year's brilliant run to the Europa League group stages. Speaking after the draw Rosenborg sporting director Stig Inge Bj�rnebye said his side was anticipating a tough set of games following Dundalk�s successful passage to the Europa League group stages last season. �We will use the coming period to become familiar with Dundalk and what qualities they possess. In parallel, we must work with our own game and get better,� he told the club�s website. �We meet a team that has gained experience in Europe over the past year. And until we have checked them out more thoroughly, we can surely expect a physically tough team. Four years ago in the Europa League, Sligo Rovers won 2-1 away to Rosenborg only to lose 3-1 at the Showgrounds. Just four players from that fixture remain and Kenny said: �I�m not surprised there�s been a big turnover because it wouldn�t have been a vintage Rosenborg team. �Norwegian football has changed a lot. Before, it was about big, physical players whereas now there�s a lot of technical ones. He retains strong memories of 2003. "I can only compare it to rugby in New Zealand, for such a small place to have that strength. They were getting over 20,000 every week in a modern stadium with brilliant community and commercial activity that we could learn a lot from." We will take on the Norwegian champions at Oriel Park on Wednesday July 12th with the kick-off at 7.45 p.m. The return leg will take place at the Lerkendal Stadion in Trondheim on the following Wednesday, July 19th, kicking off at 7.15 p.m. local time which is 6.15 p.m. Irish time. "When I managed against them with Bohemians, they had been in the group stages of the Champions League eight years in a row and every player in their squad was an international at that time," he told Off The Ball on Tuesday night, before touching on Rosenborg's recent resurgence. "They've obviously been able to afford the wages of a player like Nicklas Bendtner, who's come in and is high profile. Certainly they have a fine stadium in Trondheim and that's been used to hold Champions League games. So they are formidable opposition but it's also a tough draw for them. They wouldn't have wanted to draw us." Rogers points out that Dundalk are a far better side than they were in the summer of 2014, when they lost 2-0 at home to Hajduk Split and then gave the Croats a scare by winning 2-1 in the return leg. Dundalk won their first league title in 19 years later that year, with Rogers joining at the end of the season. He said: �Rosenborg were at a crossroads then. They sacked their manager after the first game. The man who came in is still there and they have gone from strength to strength. �But Dundalk have made big strides since then, dominating Irish football until this year, when Cork have done exceptionally well. �A lot of the players have good European experience � even the ones who have come in. �Most of them have played in Europe before, so there�s a bit of know-how there. �We�ll be the outsiders again and we know how important it is to keep the tie alive going to Norway. �We�ll feel we�re capable of getting a result there." IN 2000, the board at Shelbourne thought that we should be able to compete with Rosenborg. Their thinking was we had turned full-time and so were now competing on a level playing pitch. We were beaten 4-2 on aggregate but the tie was not as close as that scoreline suggests. We lost 3-1 at Tolka Park and, while we took the lead in the return leg, these days Richie Foran would probably be done for assault for how he bundled the ball and keeper into the net. The truth was we were light years behind them and two seasons of full-time football was not going to bridge the gap. Bohemians' league fixture against Dundalk at Dalymount Park, due to be played on Friday, July 7th, has been moved forward to Wednesday, July 5th to facilitate the Lilywhites' Champions League preparations. For years, Rosenborg were the envy of Irish clubs. At Shels, I remember numerous chats with Pat Fenlon and Ollie Byrne about how they were the model they wanted to emulate. 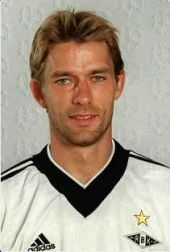 Rosenborg qualified for the Champions League group stages 11 times between 1994 and 2007. That�s an incredible achievement for a city of 187,000 people and it�s why I draw parallels between them and Dundalk. When Dundalk go to Trondheim next month, they should hoover up everything they can about how Rosenborg put themselves on the map. I by the way find �25 for match tickets a bit pricy. Dundalk - Galway 2-0 yesterday. Norwegian giants Rosenborg sent a scouting team scouting team to watch their Champions League opponents in action Oriel Park and yet this was not a game that would have given them too much to take home, with Dundalk in control from the off and sealing the win with goals from Dane Massey and Patrick McEleney.